When And How To Reject An Acceptance Letter - Writer's Relief, Inc.
Aside from researching literary markets and writing query letters, part of our job here at Writer’s Relief is advising clients on their paths to publication. 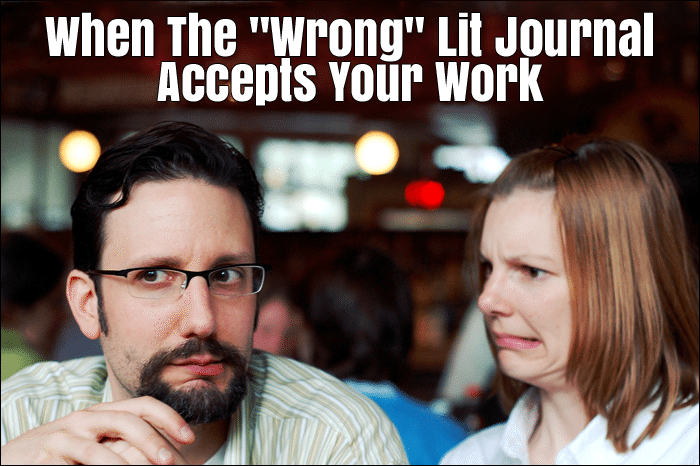 And though we most often write about helping writers submit work in order to achieve a coveted acceptance letter…we also help our clients maneuver the complicated territory of turning down acceptances. Why Would A Writer Consider Turning Down An Acceptance? In a perfect world, writers would thoroughly and deeply research every single magazine to which they submit—including reading sample publications cover to cover. However, this is not always feasible for writers for obvious reasons. Typically, writers will do some cursory research and then send their work out for consideration. Then, inevitably, the rejection letters start rolling in. Trouble occurs when an author receives an acceptance letter from a literary journal that seemed like a great fit on first glance—but then, the author begins to second-guess. What if a bigger journal wants my work, and I simply haven’t heard back from them yet? 1. Take a deep breath. Getting emotionally worked up will only make things worse. Before you panic over having to give up your dreams at seeing your piece appear in your favorite top-tier publication, or before you hyperventilate over the thought of having an uncomfortable conversation with the editor of the accepting journal, just breathe. And then (calmly) move along to step 2. 2. Do some research. 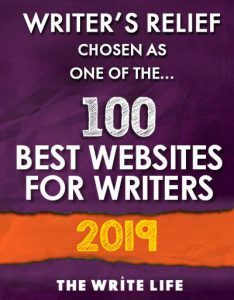 It might not seem like this is the “right” home for your work at first, but if you take the time to read a few issues, you might be surprised to find yourself in very good company among other talented and noteworthy writers. Maybe the publication is right for you and your piece and you just weren’t familiar enough with it to realize. And hey, you might be surprised by how much you genuinely like this publication—maybe you would rather have your piece guaranteed to appear in this one rather than in the one you were initially holding out for (that you haven’t heard back from yet). 3. Broaden your horizons. If you’re slightly disappointed with your acceptance because it’s from one of the “smaller” publications that you submitted to, take a step back. There are actually many advantages to having smaller journals in your list of credits. Small and mid-range journals tend to be advocates for new and emerging writers, and many of them nominate for impressive writing awards such as the Pushcart Prize. The likelihood of a big-shot journal accepting an author with zero publication credits and then nominating the work for a prize: not impossible, but not likely. 4. Listen to your heart. As cheesy as that might sound, it’s important. Before you can gracefully proceed, you’ll need to reach a firm decision based on your true feelings. You don’t want to agree to the acceptance only to feel disappointed when the issue comes out, and you don’t want to regret turning down the acceptance if your hold-out ends up turning the piece down. So before you even think about how you’ll handle moving forward, be sure of your decision and prepare for the consequences. If you decline the acceptance, feeling sure of yourself will take the sting out of an angry editor; if you take the acceptance, being firm will ensure you’re satisfied seeing your piece released in the issue. If you’ve decided to accept your first offer of publication, that’s easy: Email the editor promptly with an appreciative message accepting the offer. 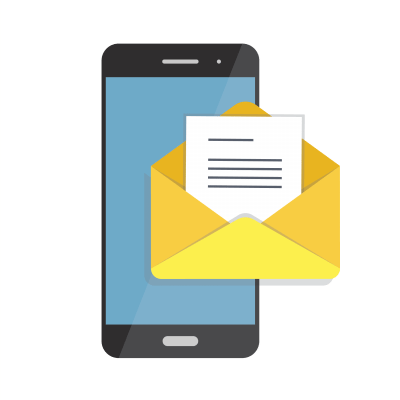 If you’ve decided not to take the acceptance, you’ll need to send a gracious and apologetic note—especially promptly. We never advise lying, but you might tell the editor that though you appreciate the acceptance from the bottom of your heart, you’ve decided to go a different direction. You can leave it at that, or you can offer the editor another piece in its place—but don’t expect the editor to accept the alternative piece(s). He or she might be open to it, or might be miffed, and you’ll need to be prepared for either reaction. If the editor is irritated, you might not be able to submit to that market ever again. After all, editors spend a lot of time coming to their decisions on what work to publish, and you don’t want to burn any bridges. But if you’ve been true to yourself in reaching your decision, you should be satisfied with the outcome, whatever it may be. QUESTION: Have you ever turned down an acceptance letter from a literary journal? If you send the work you should always give it to the first journal that takes it. That is the ethical and professional thing to do unless you’ve discovered the journal itself is unethical or unprofessional in its practices and policies. It is a small world and editors do talk and keep track. Eventually this behavior will catch up to you. Interesting. It never occurred to me to turn away an accetance. Yes, I’m ashamed to admit, about a half-dozen times. I had to turn down acceptances when I received duplicates within just a few days–before I had a chance to withdraw the submissions. One time, three acceptances arrived on the same day. The problem was, I had submitted the same work to 18-20 publications simultaneously. This is way, way too many. Now, I keep simultaneous submissions down to 5 or fewer. I start with my favorite publications, then go down my list only after the top picks have declined. Doing this lets me try for the top, and also minimizes the need to withdraw submissions or turn down acceptances.